How to harness the power of bystanders in a bullying situation. 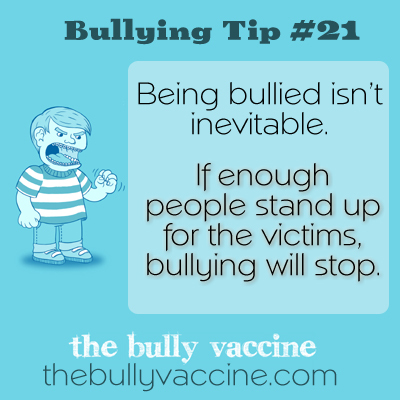 If enough people stand up for the victims, bullying will stop. Bullying can only work if no one defends the victim. Once one person stands up, others will too!